Ammar is born and raised in suburban DC, attended James Madison University and currently runs a summer internship program in Washington, DC to fund his burger addiction. Favorite style of Burger: Smash style, salty crunch outside, juicy goodness inside. Favorite Childhood Burger: We would go to Fuddruckers after Sunday school when I was a kid it was our reward for going. Burger that haunts your dreams at night: Any burger cooked Well-Done showing up like a hockey puck on my plate. What is the one Burger you’ve always wanted to try but still have not: my current top 3 are, The Emmy Burger at Emily in Clinton Hill, Bowery Meat Company and Au Cheval in Chicago. The secret to making a great Burger: Cook temperature is key. Under no circumstances whatsoever, what should NEVER be put on a Burger: Ketchup, if I’m reaching for ketchup the burger isn’t gonna rate over a 4 outta 10. If you could have a Burger with anyone alive, or dead, fictional or real, who would it be and where would you take them: I’m originally from DC so I’d probably choose to take President Obama to Good Stuff Eatery in Capitol Hill for the Obama Burger. Try and convince him to tell me some top secret stuff. Please use this space to talk about or plug anything else you want: Burgerator started off as a bunch of friends rating burgers around the city every other Wednesday. 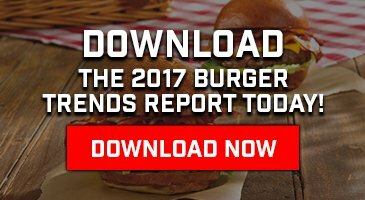 After 5 years, over 100 ratings and a ton of requests to join our burger club we launched an iPhone app to let everyone find, rate and share the best burgers around. Download the free app here. Want to meet Ammar and hang with other NYC burger fanatics while eating delicious hamburgers? Join us on Wednesday February 18th at Genuine Roadside in NYC to get the full burger club experience. Click here to RSVP here as spots are limited. The Spicy Smokehouse Burger – A double stack of our Signature Series: Chuck Hanger fresh ground beef that we make special for Genuine Roadside along with beef, bacon, charred jalapeño mayo, smoked gouda and chipotle bbq. The Super Duper Stack Burger – A double stack of our Signature Series: Chuck Hanger fresh ground beef that we make special for Genuine Roadside along with american cheese, sweet pickles and house sauce.